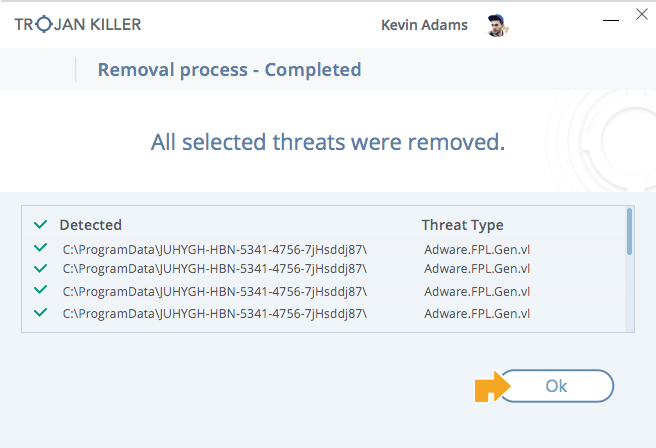 Home » How to remove » Adware » How to remove Show Fanatic extension? How to remove Show Fanatic extension? Show Fanatic is a potentially unwanted extension that may attack all popular web browsers, including Chrome, Firefox and Internet Explorer. Its cross-browser nature is intended to cover a maximum victim base, so users’ preferences in regards to web navigation software are put out of the equation. It’s important to emphasize that Ads by Show Fanatic only appear on PCs with the corresponding add-on installed on them, so this is a security issue that requires the right troubleshooting. Since the unwelcome commercial content shows up on sites in large volumes, the affected browser starts operating slower than before. To top it off, the system’s general performance undergoes an unfavorable influence. And yet, this application isn’t only a resource hog. It doesn’t take a genius to realize that Show Fanatic extension may also pose risk to one’s privacy. 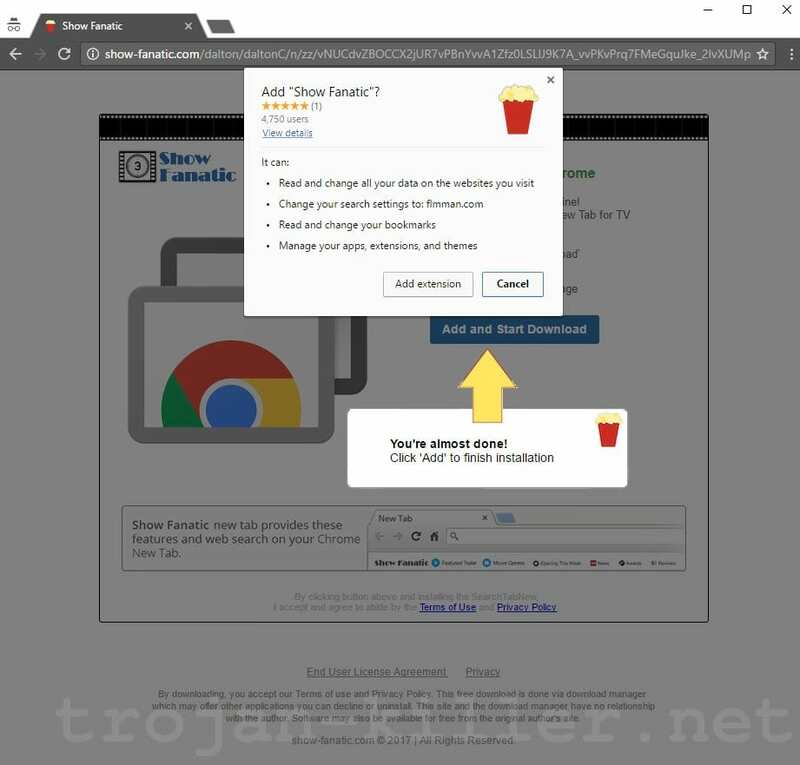 The ads it displays on web pages are targeted because the adware takes its victim’s browsing history into account. In other words, the malicious code is constantly harvesting data on what sites the user visits and what he or she looks for on search engines. It’s within the realms of possibility that the developers of this controversial software are aggregating this information and selling it to interested third parties. At the end of the day, infected users stumbling upon frustrating sponsored elements labeled Ads by Show Fanatic, Show Fanatic ads, powered by Show Fanatic, or Brought by Show Fanatic. These advertisements make it problematic to see the text and media posted on sites by webmasters. Aside from deals and comparison shopping boxes, the adware will also generate in-text hyperlinks that increase the probability of a victim being redirected to certain landing pages by accidentally clicking on those keywords. Interstitial ads, which will also go off once a while, may hang in the background of the main browser window, eating up a great deal of the machine’s processing resources. Step by step instructions how to remove Show Fanatic virus. First of all, Show Fanatic is a browser extension, like many others. So, here is the simple way to remove them from the browser and get your homepage and search engine back. You just need to reset your browser settings. To do this automatically and for free, you can use the Reset Browser Settings tool from GridinSoft. Now your system is free from annoying Show Fanatic browser extension! By following this removal instruction we hope you will deal with Show Fanatic virus once and for all. In case you have any problems or this virus is still inside, leave a comment below or contact our Support Team.